LG G6 is one of the most powerful phone of its generation which is big and an absolute pleasure to use. But the main problem of the LG G6 is its fragile frame which makes you worry about its protection. 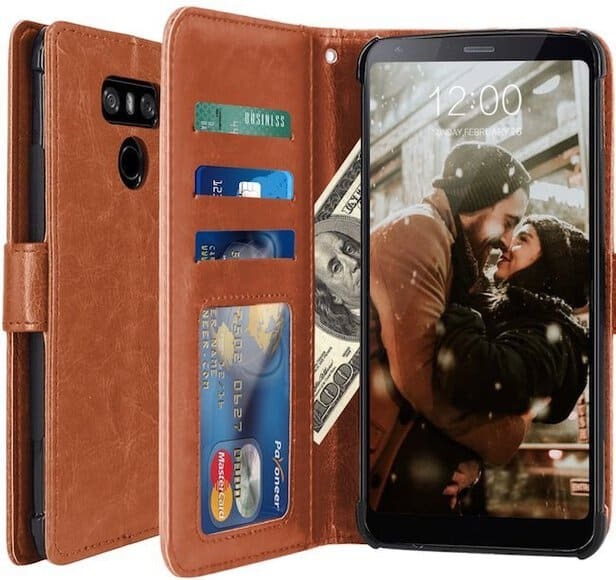 If you have bought it recently, we are sure you must be looking for ways to protect the phone from unusual wear and tears and the best way is to look for cases and covers for LG G6. 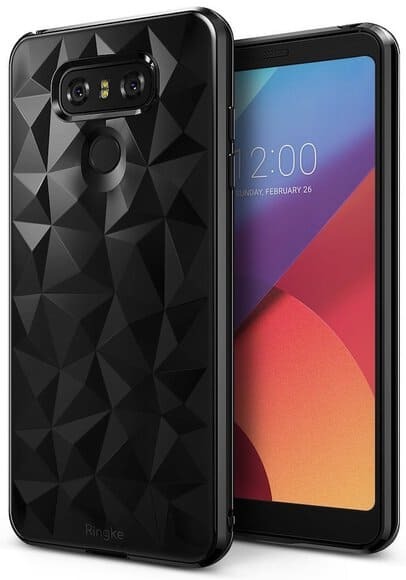 This article will cover the same topic and will showcase some of the best LG G6 cases and covers which will keep the phone protected and allow you to use the phone with all its features in place and keep the stylish look of it. Want to know which are the best LG G6 cases and covers? If yes, have a look at our article showcasing all the best cases for LG G6. When it comes to cases for mobile phones, you can trust Spigen blindly for the quality of the product that it provides its customers with. 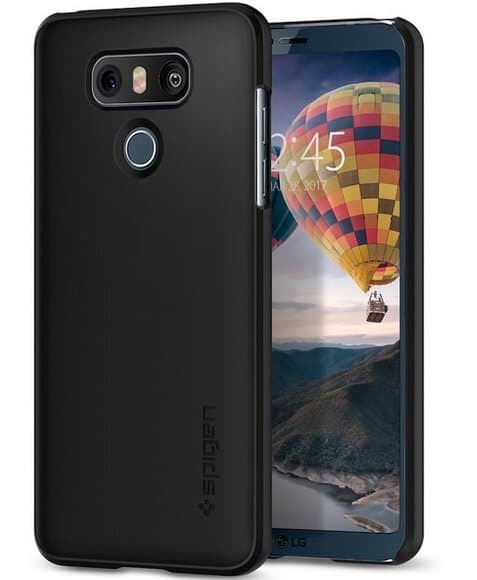 Spigen Rugged Armor is one of the superb covers that you will get for your LG G6 phone. It is a sleek cover with a two-tone finish that provides the users with a complete protection for their phone. It also consists of a resilient shock absorbing feature. 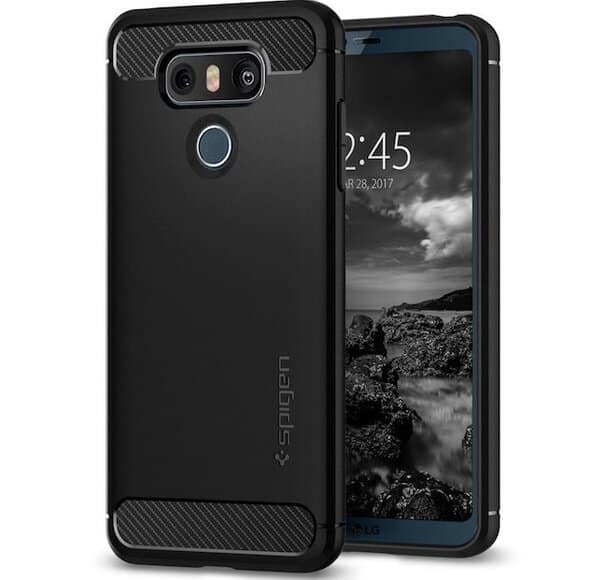 If you are looking for a LG G6 cover which will give you some texture at the back that will allow you to get a better grip of the phone then you must check out the Caseology Parallax cover. It comes in two variants and provides users with superb protection for their phone. The hard polycarbonate plastic provides the covers with a smooth finish which is pretty hardy in nature but isn’t bulky. If you are not satisfied with just a back cover for your phone and are looking for a tad bit extra, then LK Luxury PU Leather Wallet Case will be your perfect choice. This is a flip cover which also provides you with screen protection for your phone and at the same time makes it even more stylish. It has a in-built wallet and a kickstand which are the extras that are gained. 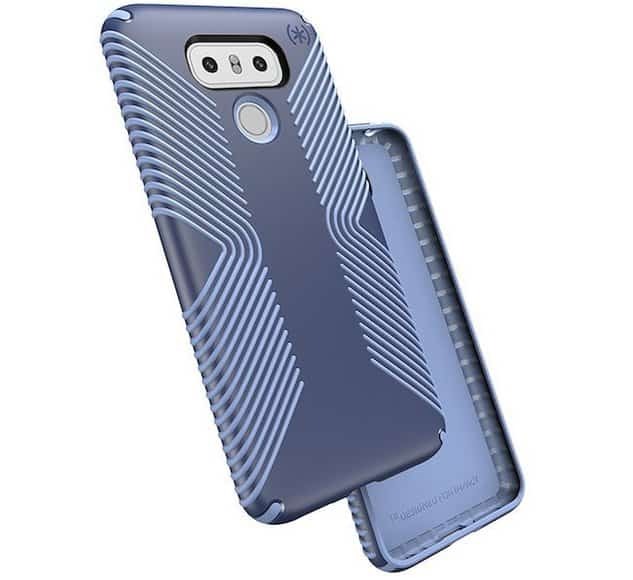 If you are looking for a case which is durable and will give complete protection to your 700+ dollar phone, Speck LG G6 Cases is the one you should choose. 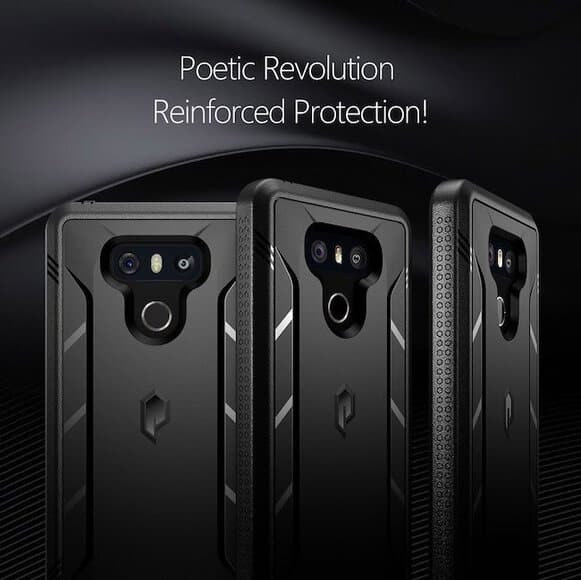 It is a reputable brand when it comes to cases for your phone. it is available in four colors for you to choose from and is scratch resistant. One of the best things about the case is that it is made to absorb shock. 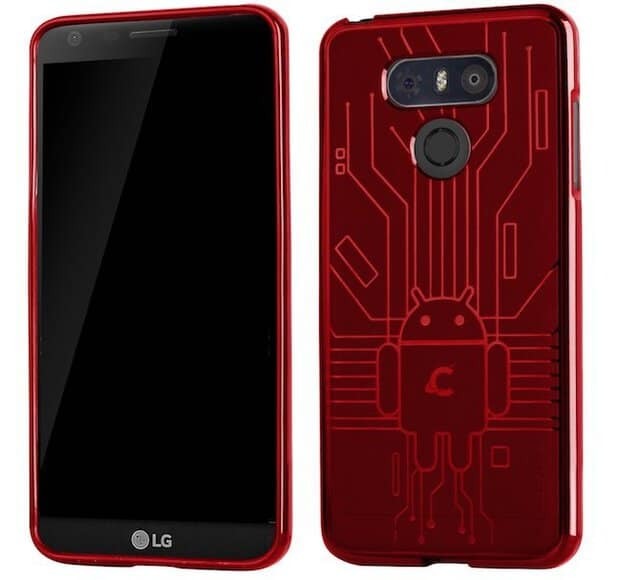 Next up is the CruzerLite Bugdroid Case for LG G6. This case is specifically made for people who are in love with Android as the design features the Droid. 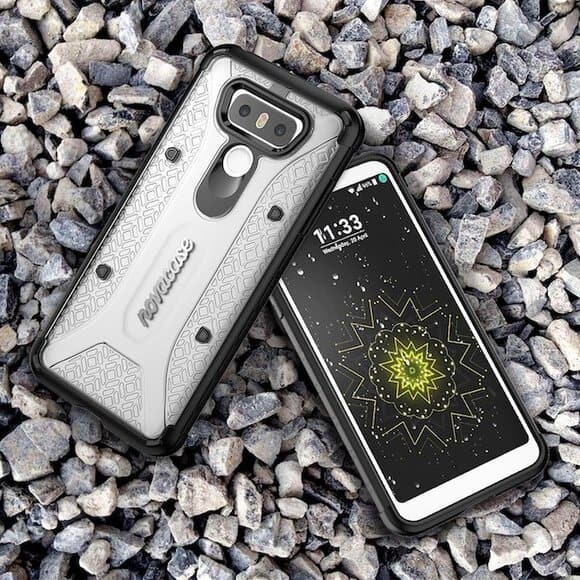 If you are on the lookout for a case which is cheap, easy to clean yet will give you full protection for your screen, then CruzerLite Bugdroid Case should be the perfect choice for you. This is made of TPU and is available in multiple colors. When it comes to one of the most beloved companies of phone covers, we have to keep coming back. Same goes with Spigen Thin Fit LG G6 case. People who like their phone cover thin and fitting will be a fan of Spigen Thin Fit. It comes with the snap on feature which completely engulfs the phone when fitted on. But there is always the fear of the glass corners hitting the ground if the phone is dropped. On the lookout for a back cover which has multiple color options to choose from as well as multiple finish options? 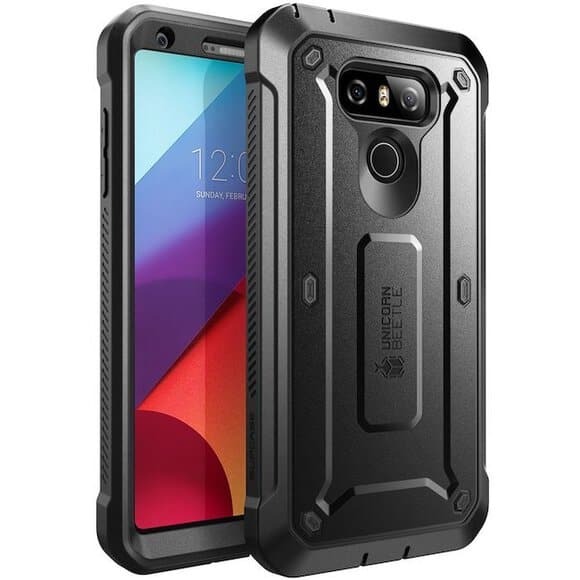 This is one of the best shockproof and rugged LG G6 case available. CaseAVE Armor Slim comes with a hybrid design which offers dual protection to the phone. Its multi-color options have hints of black at various places. The inner core of the cover is provided for shock absorption and the outer layer is made of strong polycarbonate material. If you aren’t a fan of elaborate designs and basically look for the protection of the phone, then you must check out NOVACASE Slim Hybrid. This is one of the more industrial designed back covers which is made of a hybrid two material design for extra durability and protection of the phone. It is a scratch proof cover which also consists of a slight dent that will lead your finger to the fingerprint scanner that comes with the phone. Looking for a case to protect your phone which is heavy duty and will not bulk up the phone at the same time? You must give Poetic Revolution Heavy Duty a try. 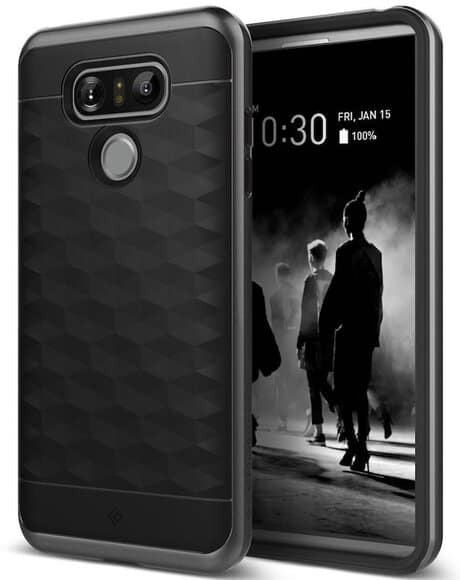 This is one of the best covers that is available for LG G6 which has a dual layer. The interior is TPU which helps in shock absorption where the exterior is made up of polycarbonate for protection. Urban Armor Gear Case produces case for LG G6 which are not at all bulky in nature. Urban Armor Gear Case is famous for crating cases that are rugged to look at and in action, but not at all rugged in size and is featherlight in weight. The cases are durable and provides perfect protection to the phone be it in the form of scratch resistance or shock absorption. Looking for something which is chic and stylish and bold to look at yet provides your phone with one of the best protection ever? Ringke Air Prism Case will give you all that. The Ringke Air Prism Case is very durable and will also give you an anti-slip grip hold on the phone thanks to the awesome design that it comes with. The corners make sure the safety of the screen. 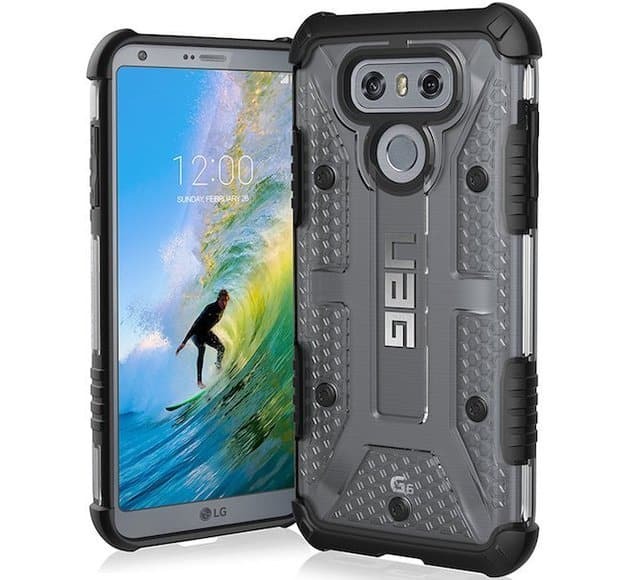 Looking for an extremely rugged case for your very own LG G6? You have to fall in love with Spigen Tough Armor. It is the most rugged phone case of the lot and provides you phone with ample protection from all sides. It consists of the TPU inner lining that is made for shock absorption while the outer layer is made of polycarbonate material which will provide scratch proof protection to the phone. Tough protection doesn’t always need to be expensive in nature. 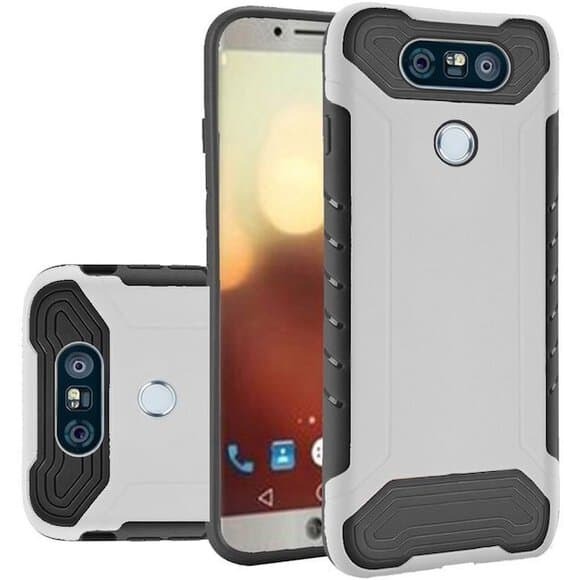 With Supcase Rugged Holster Case you get the best of protection for your LG G6 that too for a fairly cheap price. Supcase Rugged Holster Case provides your phone with complete coverage and hence is perfect for an all-round protection for your phone. The dual layer of the case consists of TPU layer and polycarbonate exterior covering for better protection and shock absorption of the phone. 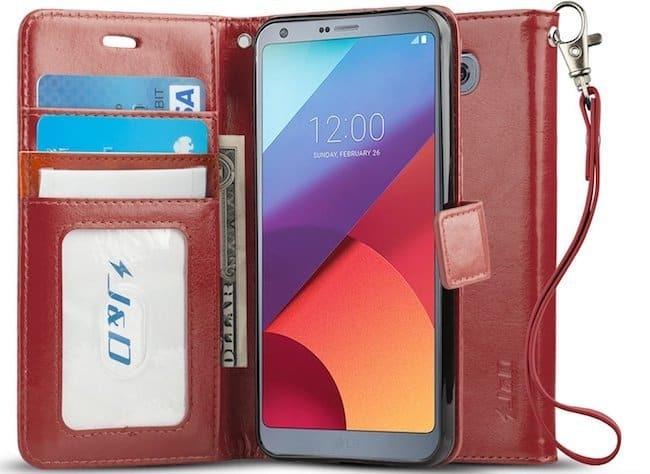 How about something which acts as a wallet as well as offers full protection to your LG G6 phone? Sounds nice, right? J&D Wallet Case offers to you just that. It is one of the most stylish casings available for the phone and the dual action makes it even more attractive. The phone is held in place by a TPU shell which allows shock absorption for the phone and it is available in multiple colors. 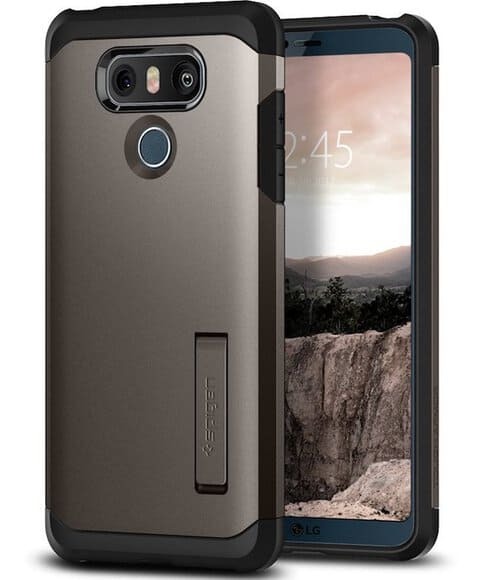 Last but not the least is the OtterBox Defender case series available for LG G6 phones. 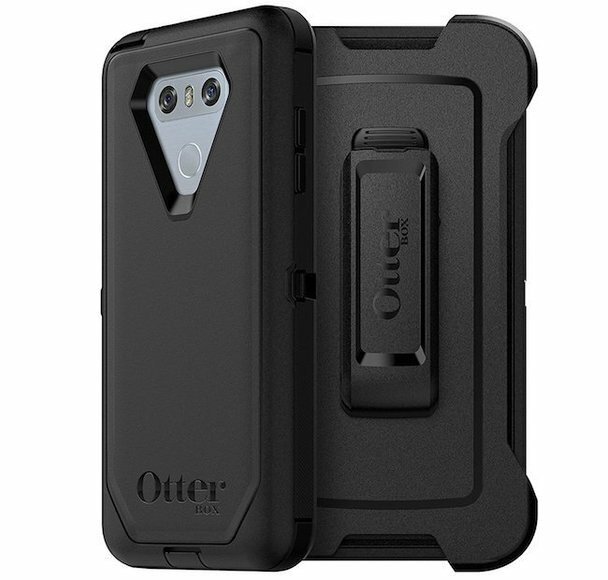 Very few manufacturers can produce what OtterBox Defender brings to the table when it comes to rugged cases for phones. It comes in three layers which consists of a screen protector which protects the phone screen from any kind of damage that can be inflicted on it. OtterBox Defender has been put through as many as 200 tests for 24 hours to check the durability. That’s all folks when it comes to best LG G6 cases and covers! Hope you find your choicest of LG G6 case from our elaborate list of products. 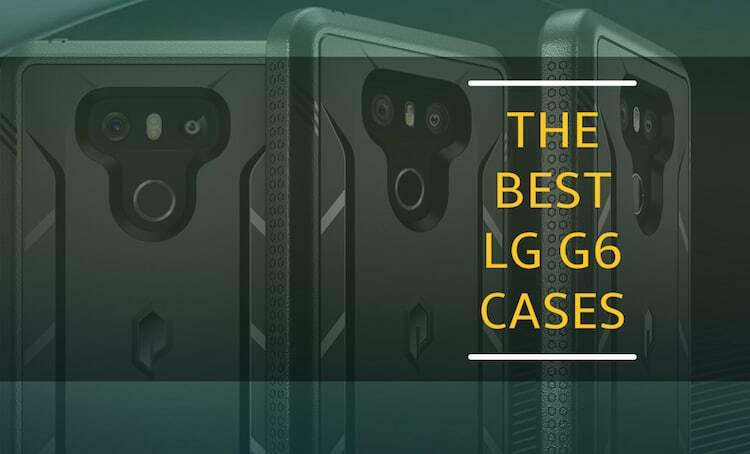 Do let me know which one you like the most from our list of best LG G6 cases and covers.